LOCATION!! LOCATION!! LOCATION!! Check out this AFFORDABLE downtown living, one bedroom unit on the 10th Floor of a HIGHRISE with SUPERB VIEWS!! Great Kitchen setup, open to the living room and LARGE WINDOWS that lets in TONS of SUNLIGHT and fantastic VIEW to ENJOY! Full 4 piece Bath, your own WASHER & DRYER in the unit, a BEDROOM with 2 closets & GREAT VIEWS! A balcony compliments the unit, and you also get your own heated UNDERGROUND Parking stall! CO-OP supermarket is just behind the building for SUPER CONVENIENCE, close to RESTAURANTS, and even the BUS route is close by. Building amenities includes use of the LARGE EQUIPPED EXERCISE ROOM, SAUNA & SHOWER, INDOOR VISITORS PARKING, & BICYCLE STORAGE ROOM!! 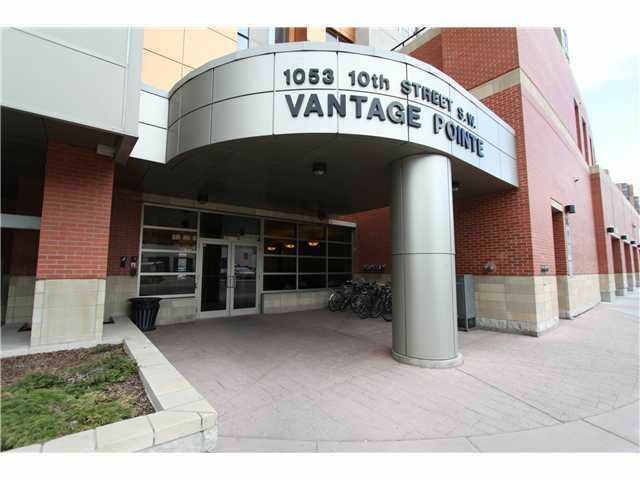 Got to hurry on this one, rare chance of getting a one bedroom unit in VANTAGE POINTE at this SUPER AFFORDABLE PRICE!! Great for first time home buyer, INVESTOR or if you work in downtown! !